The U.S. will demand Russia stick to its deal in eastern Ukraine, and will "hold Russia accountable" even as President Trump has signaled he wants to improve the relationship. The US "strongly supports" NATO. This comes only a few days after Defense Secretary Mattis notified NATO nations that the U.S. is prepared to reduce its commitment to the alliance unless member states pony up their required level of defense spending. 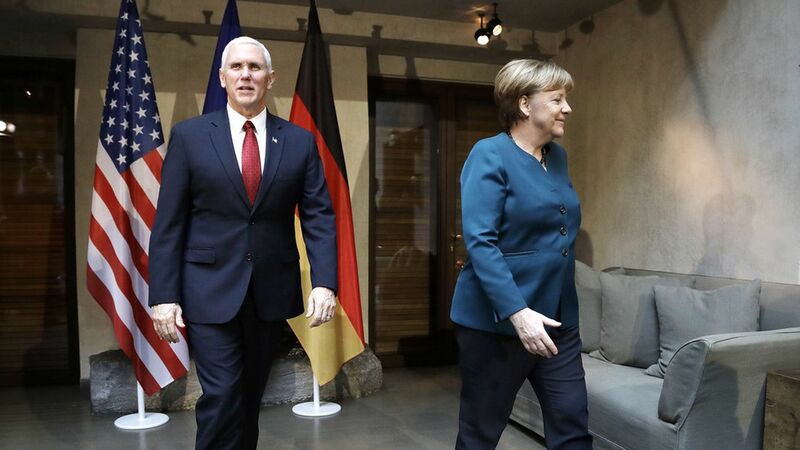 "As you keep faith with us, under President Trump we will always keep faith with you"
Pence will be meeting with German Chancellor Angela Merkel, in addition to leaders from Estonia, Latvia, Ukraine, Iraq, Afghanistan, Lithuania and Turkey.